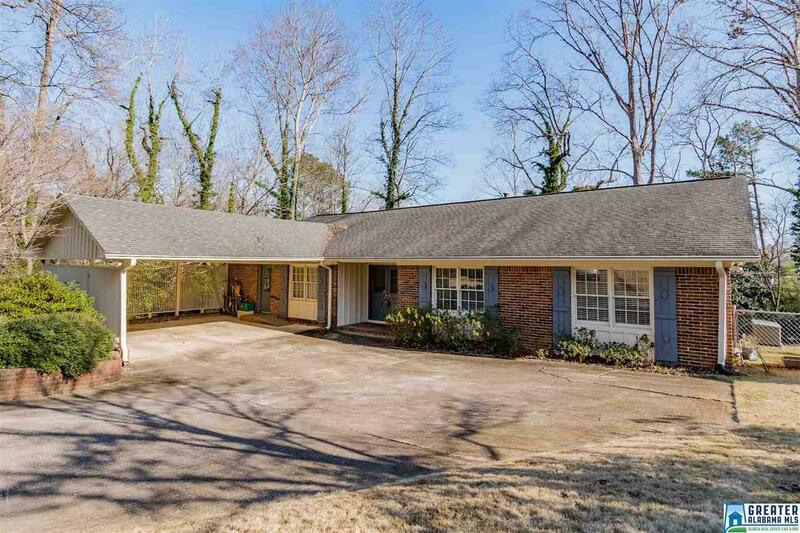 3725 Crestbrook Rd, Mountain Brook, AL.| MLS# 838958 | Richard Jacks UABLIVING.com 205-910-2297 | Birmingham AL Real Estate | Contact us to request more information about our Homes for Sale in the Birmingham AL area. This is a GOOD ONE! Main-level living at its best! This all-brick home has so much to offer. This home has spacious rooms, lots of natural light, a fantastic den with a beautiful brick fireplace, screened porch overlooking the private backyard, FOUR bedrooms and so much more. The full unfinished daylight basement has room for tons of storage, a workshop or could be finished out for a man cave! Other extras in this home include a full house generator, sprinkler system and a fully fenced backyard. Plenty of parking space is available in the large driveway and 2-car carport. Don&apos;t miss this one! Driving Directions: Overton Road To Oakdale Drive, Then Right On Oakdale Road. Left On Ridgecrest Road, Right On Crestbrook Road. House Is On Right.